Bunko Bet is a colorful and fun trick that will entertain and fool your audience all at the same time! Rudy T. Hunter will perform and teach you step-by-step this incredible trick. 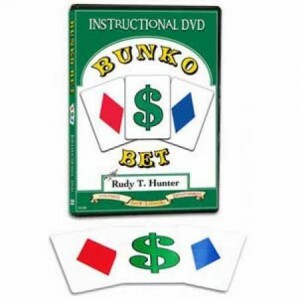 The Bunko Bet card trick is an act of its own. All cards are included, plus a bonus card to add a variation to the end.